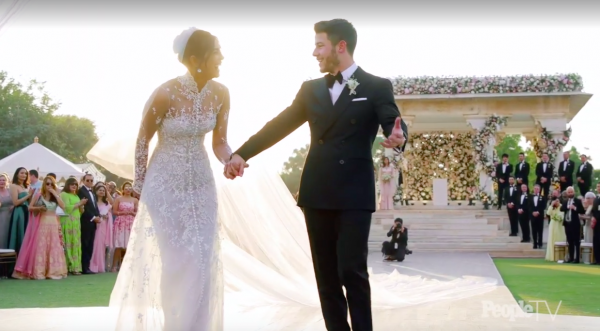 10 Breathtaking Moments From Priyanka & Nick’s Wedding Video That You Can't Miss! 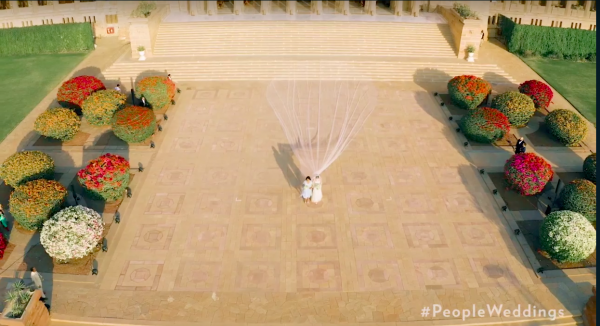 Your social media feeds might have just recovered from all the #DeepVeer photos and now it's time to brace yourself for the next big wedding of the year, #NickYanka is here! And in all it's glory might we add. 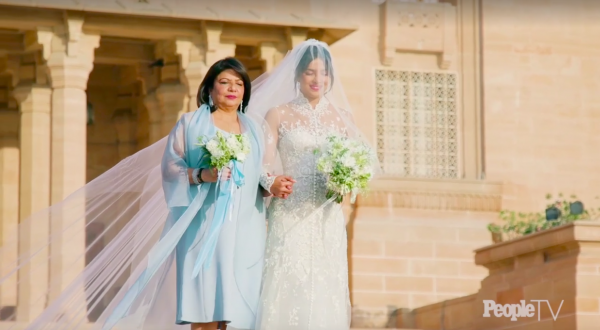 Priyanka Chopra married Nick Jonas at Umaid Bhawan in Jodhpur and the pictures will make you weep! (tears of joy and love, of course). 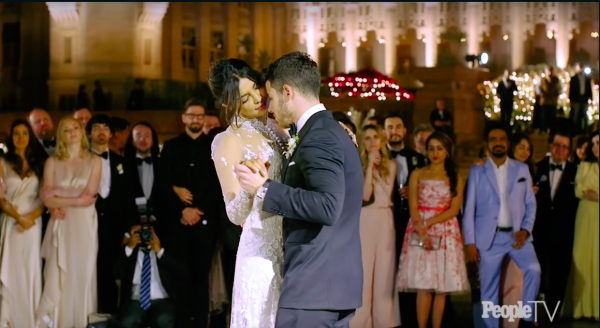 Here's a quick look at some of the most breathtaking, tear-inducing moments from Nick and Priyanka's wedding video! 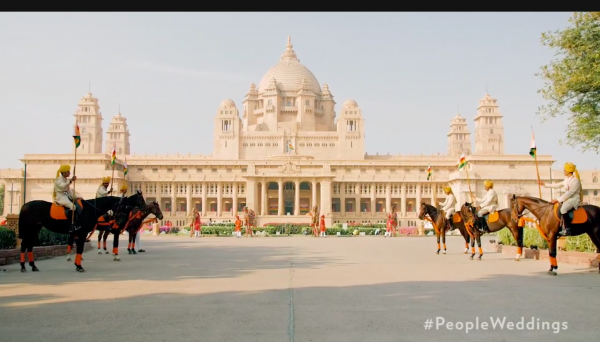 Nothing less than royal, the Umaid Bhawan Palace in Jodhpur hosted the Nick-Priyanka wedding and it's quite a sight. I mean, just look at that stunning architecture! The Altar that every girl dreams of! 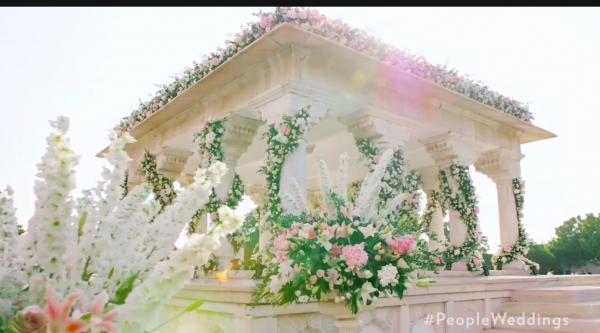 The altar for their western wedding was inspired by an angelic setting it was decorated with a combination of white and pink flowers. Mama's last piece of advice? Caption this? 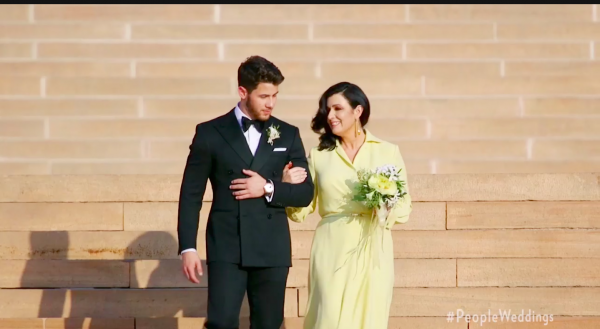 I can't help but wonder what Mama Jonas and Mama Chopra's wise words to Nick and Priyanka might have been! Not sure what PC's mom might have said, but the way they're holding hands speaks a thousand words of love. Ok, you can cry now. Doesn't she look like a sight for sore eyes? I'm sure she had butterflies in her stomach. You can almost see them in her eyes! 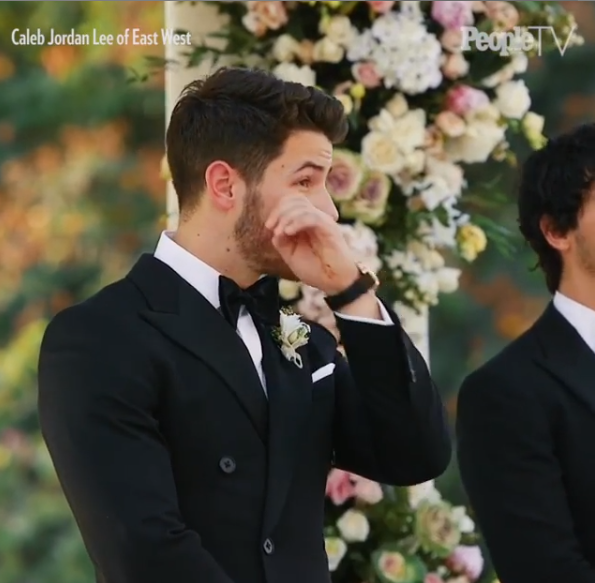 Nick's reaction on seeing Priyanka dressed as a bride is just priceless. The one right after they said I do! 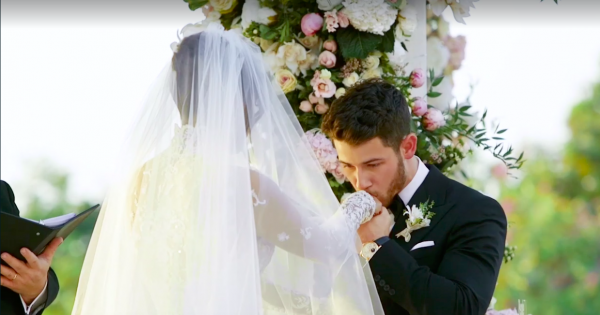 How cute is that, Nick! 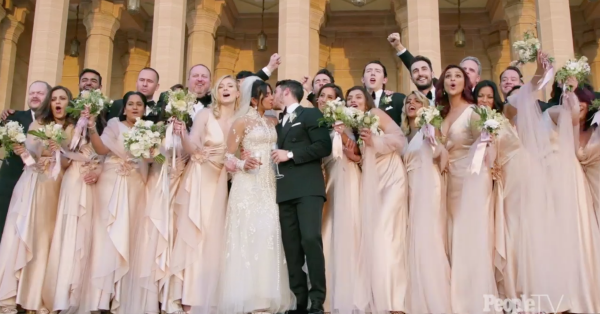 You're breaking a million hearts out there but we wish you a lifetime of happiness and love! 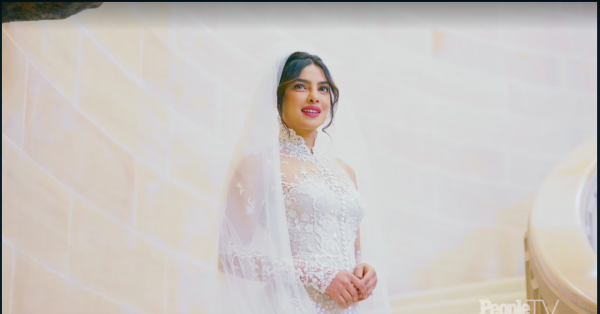 When you're Priyanka Chopra, you've got to be extra right? 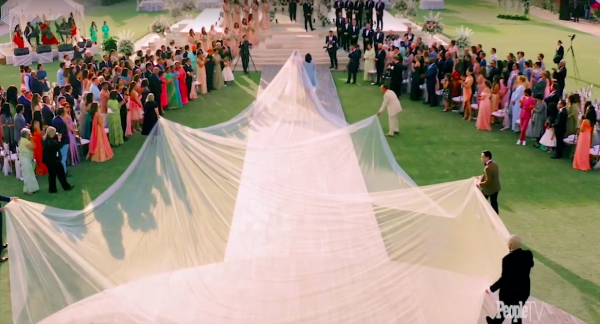 The gown for the western ceremony was designed by Ralph Lauren and that beautiful veil is attached to a 75-foot long train that's probably best seen from an aerial view. Here's another shot! Not that he needed our permission! 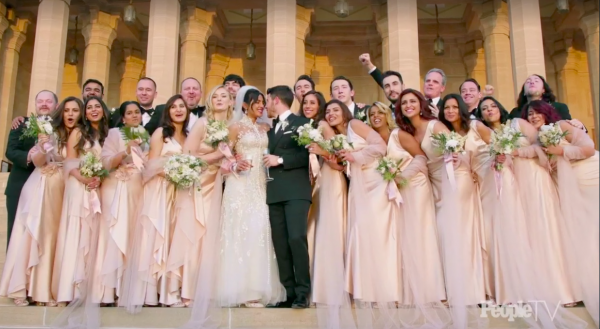 Here are all the Bridesmaid and the Groomsmen with the newlyweds. How ADORABLE is this!! 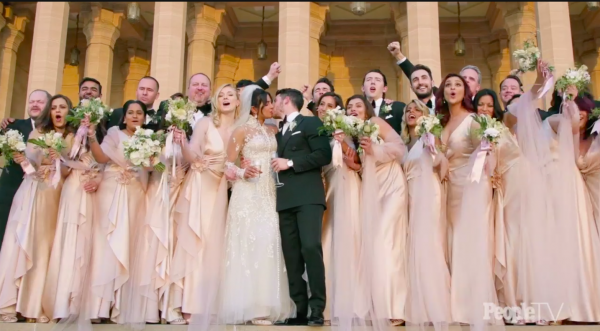 Hey There Mr and Mrs Jonas! Doesn't she look like she's on top of the world? Find yourself a man who makes you laugh and looks at you like that! At a venue so dreamy, I can only imagine how romantic that dance would have been!